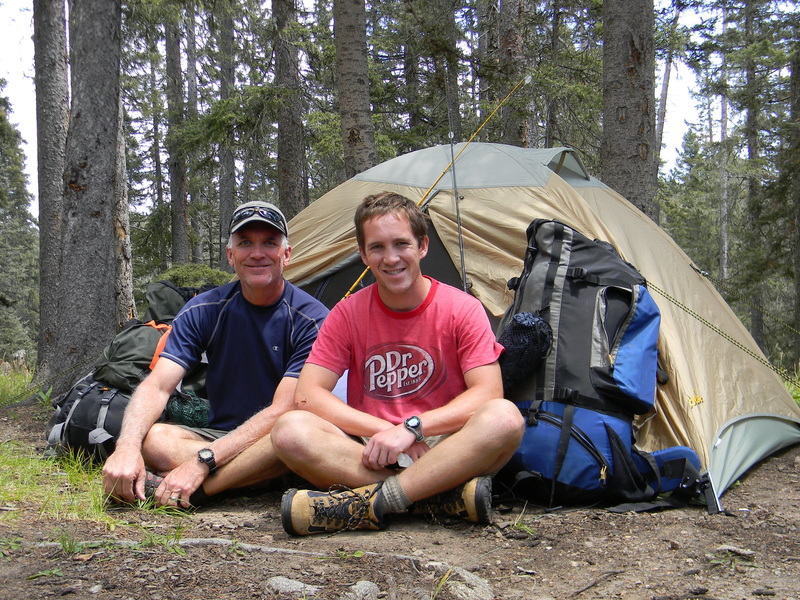 If you have been following my blog, you know that I spent the first week of August up in the Pecos Wilderness. I’ve talked about wandering around lost and how hard the hike was, but what about what happened in the wild? I went into the wild on a search, for fish, a fresh night sleeping on my new sleeping mat, and friendship. What I found might have been a little different. 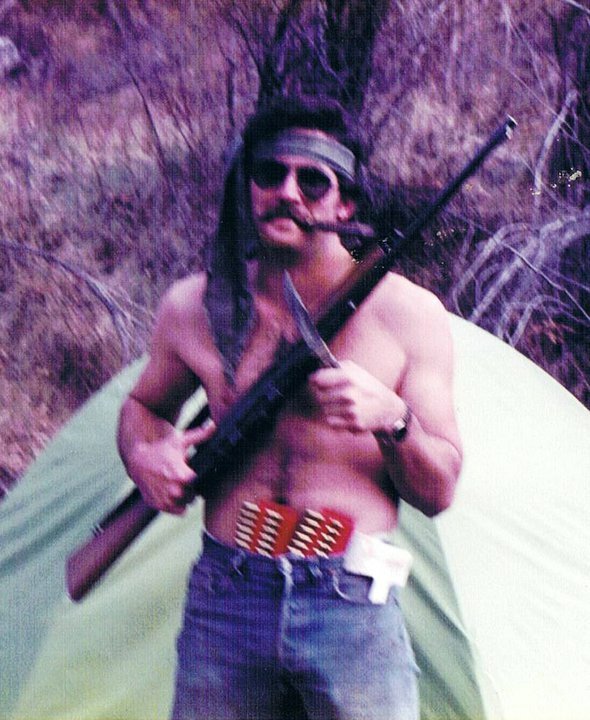 Heck, I shared a tent with the older version of the man pictured above, so how could my adventure turn out the way I expected? Life in the wild is therapeutic for me. I love backpacking because it gives me a chance to leave my normal life and leave it all behind. Computers. Smartphones. Jobs. Stress. I love being off the grid. Guatemala was off the grid, or at least I was off most everyone else’s grid. Living off the grid can be a challenge, especially not knowing the language, something unexpected could always be expected to happen. But now that I am living in Colorado, I feel the need to get away, go backpacking, so that I can be challenged and refocus on life. 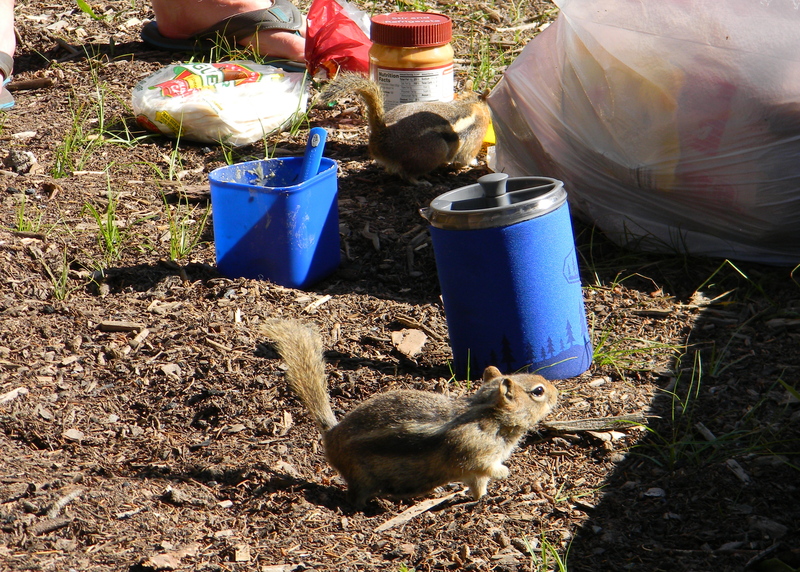 And so, up in the Pecos Wilderness, off the grid, we were attacked by a hungry heard of chipmunks. Those little rodents were aggressive. 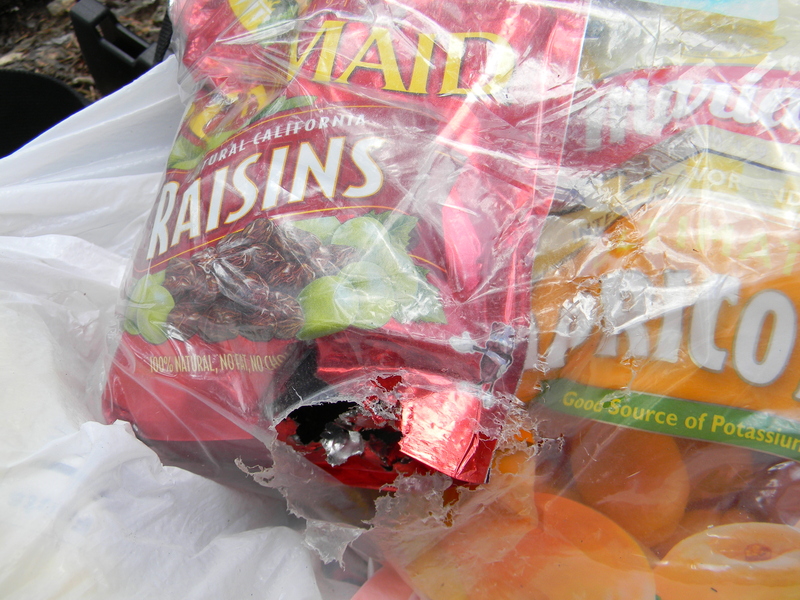 We had to lock away our food, even so they unzipped my backpack and chewed through three layers of plastic bagging just to eat three raisins. They were telling me that the Stewart Lake campground was their home turf and I better show some respect. Maybe they’d grown too used to backpackers and I could see why. As I packed my backpack a troop of 15 teenagers hiked into our area to set up camp. After a little fishing we packed our tent and trekked up to Lake Johnson. If Stewart Lake my first step into the wild, albeit a little crowded, Lake Johnson was truly off the grid. Other than the Rices, our backpacking partners, we didn’t see another human for a couple days. It was just me, my dad, and the wild. 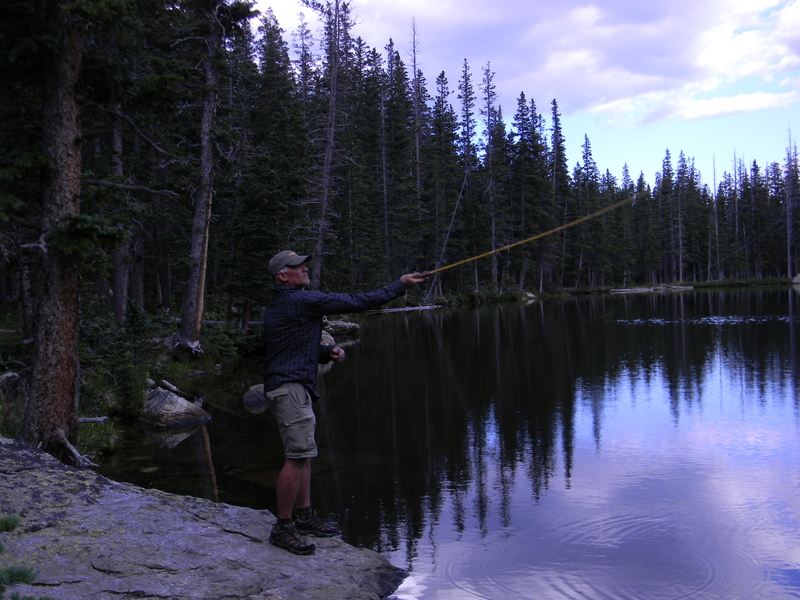 The fishing up at the high mountain lake was great, but then again, not great. But maybe that was part of the challenge. When I can’t just walk up to the closest Chipotle for a burrito to feed my hunger. Providing food for myself isn’t meant to be easy. Sometimes the fish just don’t bite. And when they don’t, what’s going to calm the hunger pains? Fortunately, I packed in enough food and really, caught plenty of fish. I spent most of my time out by the lake, casting my line. It was a beautiful time, but also invigorating. Each night on the backpacking trip, we lit our stoves, boiled water so we wouldn’t get sick, and then hoped our food would turn out edible. In the wild you can’t rely on your own strength, just ask Aaron Ralston. He got stuck and lost an arm. In the wild it can rain or not rain. Too much one way or the other and you could be dead. But in the wild you can also find life. In the wild, up at Lake Johnson, I reconnected with my best friend. Philip and I grew up going to church together, but because we live in two different states, hadn’t been able to talk in several years. 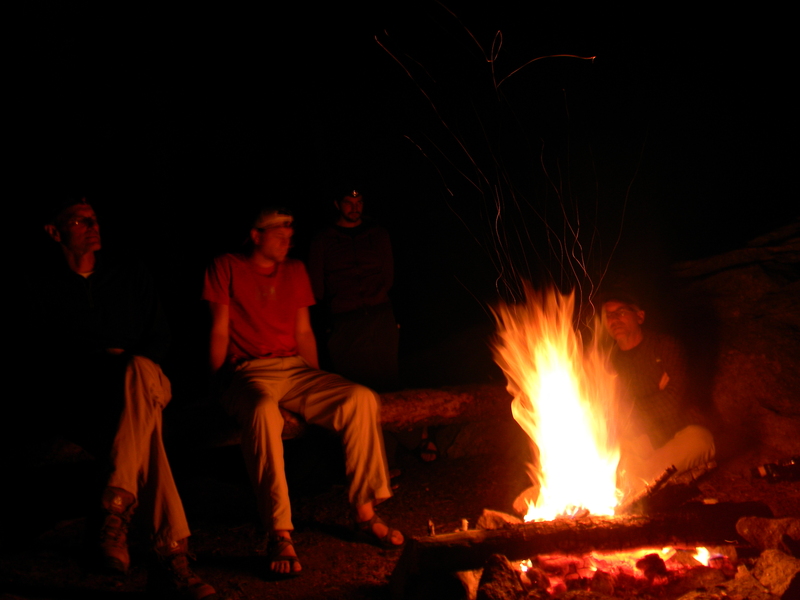 At night around the camp fire, with no computers or iPhones, we were able to engage in each other’s lives again. Philip is currently stepping out into the wild in his own life. God has called him into the full time ministry. He has left his job, just months after becoming a father, and is placing his trust in God to provide for him. There is nothing wilder than living on the edge for God. On our last night around the fire, Sid, Philip’s dad, asked us to talk about what we’d experienced on the trip. We’d talked about fishing, joked about all the deer that’d wander through our campsite (they would wander through and nibble on our leftovers knowing they were safe as it wasn’t hunting season). But my favorite part was was talking about faith and community. I don’t think these conversations would’ve happened if we hadn’t gone into the wild. I felt focused on life, as each morning and night, around the the camp stove, we shared our hearts. As I packed up my tent to hike out of the wild, I knew I didn’t want to stop sharing my life with the people around me. 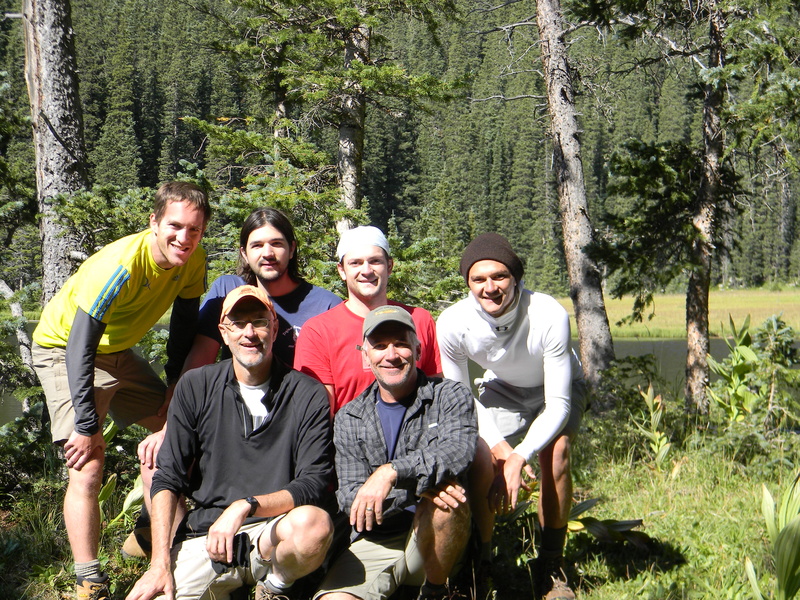 It took going into the wild to see that my life needs true community. This year, while I pursue my masters in teaching, I don’t want to forget what I learned in the wild. I know that my studies will be challenging, but I’ll get comfortable. I know I’ll be connected to the grid. But I hope that I stay connected to the community around me and not stop living in God’s wild creation. I would like to thank all of my readers here at the Neighborhood Cafe. I hope you guys continue to be challenged by God and that each day you see how much he loves you. God will provide for you, just put your faith in him. I believe a life connected to our creator is life out in the wild, even if that wild looks like a city street. Again, thank you all for reading my blogs over the last several months. I would love to keep you all as part of my blogging community. If you want to continue to read what I write, click here, and follow me over to my blog. I hope you all subscribe so we can continue to build a faith community.